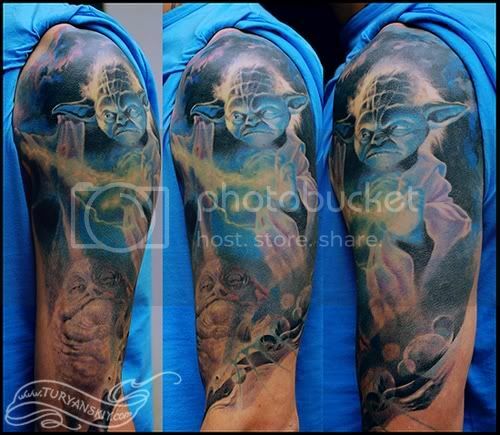 Just got a picture of Yoda and Jabba Hutt Star Wars tattoo I finished 5 years ago. In spite of the fact that it's on my friend I never had a chance to get a proper picture of it and put it on. Anyway, I'm going to add Gizmo portrait oh his inner arm next to Jabba Hutt in two weeks. Yay! Thanks to my wife for this brilliant idea, I was dreaming to do a Gizmo tattoo for a few years.